It was a pretty busy week in Canby. 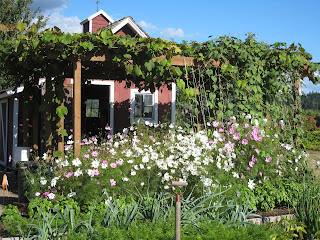 The weather was a little wetter than normal so the garden and lawn got a good soaking for a couple of days. 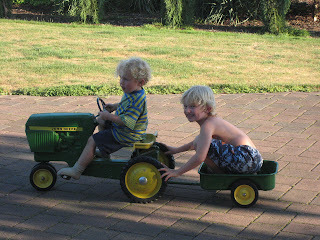 The boys came out for "Opah Omy" day on Wednesday. Last week Marlene asked Ryder whether he would rather have Wednesday or Thursday for "Opah Omy" day. He asked, "Which one comes sooner"? So, we had Wednesday as the day they spent with us. 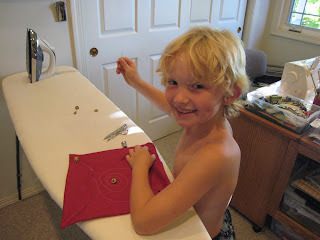 Ryder spent part of the day using the sewing machine to make his Papa a birthday present. He also learned how to sew on buttons. Omy is preparing him for college. 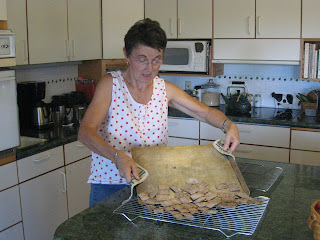 Later in the week Marlene made a batch of crackers. She's using her desem starter, kind of like a sour dough, just rolled flat with salt and seeds sprinkled on top and baked. 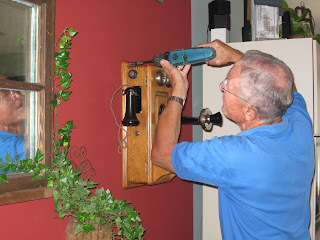 While Marlene was baking, I was installing the antique wall phone on the wall in our kitchen area. Both Marlene and I had this kind of phone on the wall of our farm house when we were growing up in Wisconsin. So, when we were back there a couple of weeks ago, we bought an original Kellog wall phone from Phoneco Inc. It's a company in Galesville, Wisconsin, that buys and sells old phones. 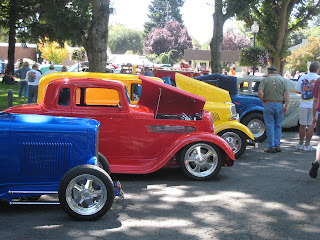 Later in the day we met our friends at the Canby Cruise in. Hundreds of cars gathered around the park and adjoining streets which were blocked off for the event. It's a free show held annually and it's fun to go down, walk around and remember the cars we used to drive. These happen to be modified, but about half the cars are stock, restored cars from the 50's. 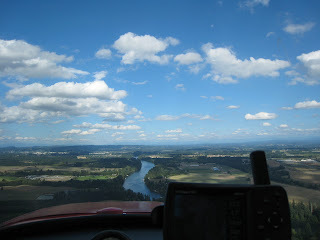 The weather was perfect for flying so late in the afternoon I launched the Aeronca and flew up the Willamette River. I wanted to take some pictures of friend's houses so I could give them as gifts. 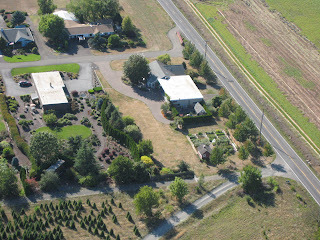 Before I landed, I took a shot of our own house and property. 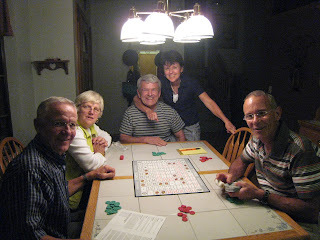 That evening, we gathered for dinner and a game of Sequence with Paul and Debbie and Richard and Patricia. 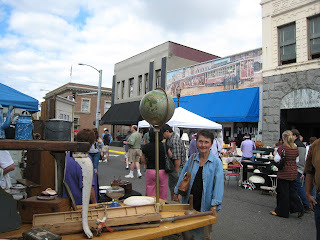 We finished the week with a visit to the antique street fair in Oregon City. Marlene found a couple of things we could use.